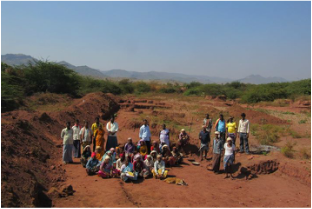 AID Bay Area supports 15+ different projects in 10 states in India in partnership with grassroots groups. These projects cover wide ranging issues such as Agriculture, Education, Public Health, Community Empowerment and Environmental Justice. The map on the right displays location of our projects color coded by these categories. Read on below to learn more about some of these projects and the impact they have had on the communities. Click on each link to learn more. Teaching students at primary and secondary levels to learn and master skill sets with a focus on environmental studies affecting their communities. Impact: Students become expert in organic kitchen gardens and pest management techniques, in turn spread awareness in their communities. 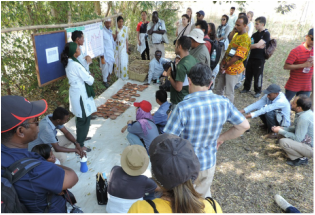 Enabling Governments and communities to adopt sustainable resource use policies, zero waste practices, and resist thermal technologies, such as incineration of waste by positioning efficient, environmentally safe, and practical models with public participation. Impact: Several states in Indian northeast including Sikkim have adopted zero waste techniques with technical guidance offered by this project. ​Providing high quality medical treatment and nutritional support for patients suffering from tuberculosis in remote rural Chhattisgarh. Impact: Advocacy work done by JSS led to the government of Chhattisgarh providing extra food supplements to patients with chronic diseases. Impact: The fight against Tata Mundra power project reached global levels and success achieved in making the plant work towards environmental and social regulations by reaching out to World Bank's IFC. 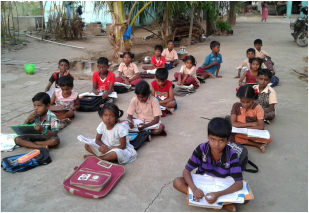 Impact: Successful in initiating educational facilities for children and organizing adults around their rights while creating mass awareness among the community to gradually move away from manual scavenging. Working with farmers to educate about and promote organic, sustainable practices in Vidarbha, a region hard-hit by farmers' suicides. Impact: ​ The program has increased the acreage of organic cotton farming and has empowered farmers to become more sustainable. Provides informal education to tribal communities on their rights through the Forest Rights Act, Right to Information, Employment Guarantee scheme etc.